Hot Wild honeys from the wild wild west. Sexually frustrated swingers spend a weekend of sexual explorations in Sir Aubrey's mansion. When one of them tries leaving early after even rejecting hostess Lady Amanda herself, she spikes his feel and fucks him till emission. A barmaid using her buxom figure to console a dumped guy is just one link in a chain of events that causes various men and women to reach sexual satisfaction. 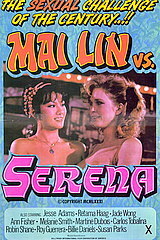 Hot classic action with Susan Nero and Hillary Summers!